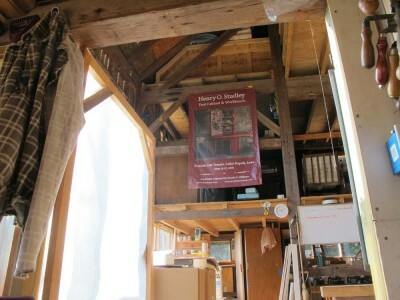 I recently hung a couple of banners in The Barn, just because they make me smile. 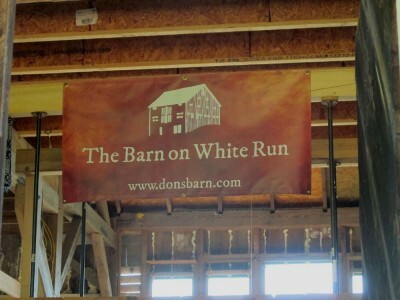 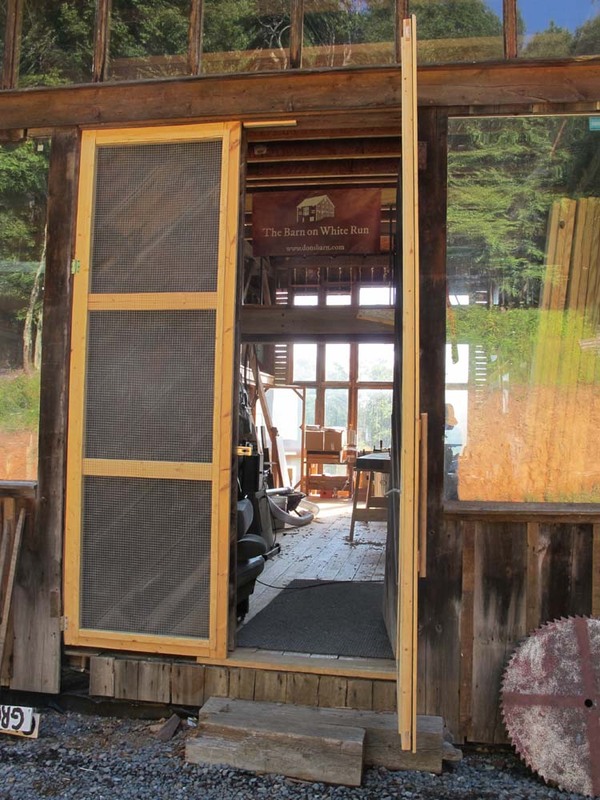 First was the original Barn On White Run banner we had last year at Handworks in Amana IA. 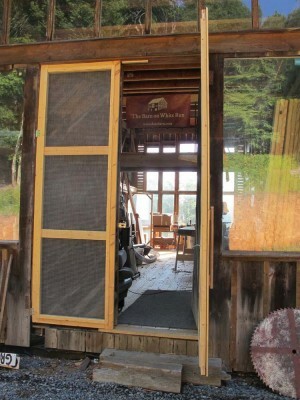 I hung it off the bridge that connects the north and south balconies, and it is an immediate greeting once you enter the door. As a total whim I ordered a 4-foot by 6-foot version of an image I am using to promote the Studley Tool Cabinet exhibit (tickets are still available), and hung it just opposite the door to my workshop. 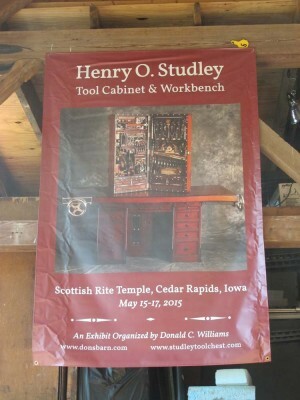 At that size it is an unavoidable reminder of 1) how cool the Studley cabinet and workbench are, 2) how great the exhibit is going to be, 3) how great the upcoming book is going to be, and 4) that I should be scared out of my mind with all the work (and expense) still awaiting me in order to make #s 2&3 a reality.